Everyone knows about Black Friday, Cyber Monday and even Christmas in July but how many people know about December 26th Decorating Dash Days? Well, okay so maybe that term hasn't quite gained traction but it will if we say it enough. You see, for some (guilty as charged and proud of it) there's a sense that next year's Christmas season should include things we noticed this year AFTER we finished our decorating scheme and spent our last décor dime. Rocklin is an amazing place for many reasons and among them is its great shopping variety. It has something for everyone from antiques at Rocklin Roads Hand Pickin Emporium to Sierra College Blvd's duo mega shopping centers. There's Rocklin Commons (west of I-80) and Rocklin Crossings (east of 1-80). These heavy hitting duo shopping centers each include superstores such as Target, Walmart and Bass Pro Shops as well as department stores like Ross For Less, Stein Mart, and T.J. Maxx. That's just naming a few of the shopping and eating places in these two large centers. Which brings me back to the subject of December 26th Decorating Dash Days. I like to visit four types of stores when it comes to saving big bucks on next year's Christmas decorations. 1. 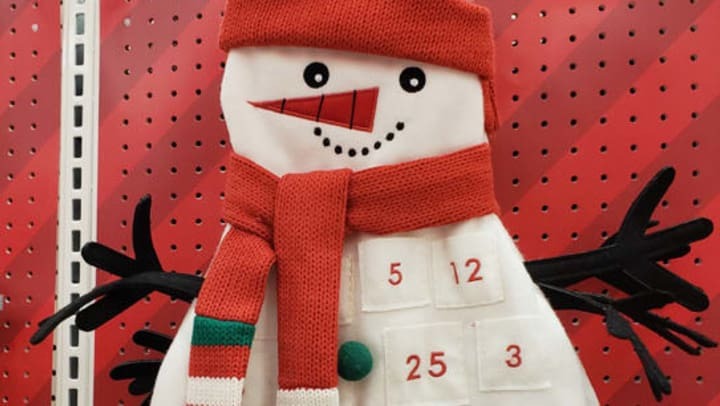 Superstores are Super Places to Save on Christmas Decorations! 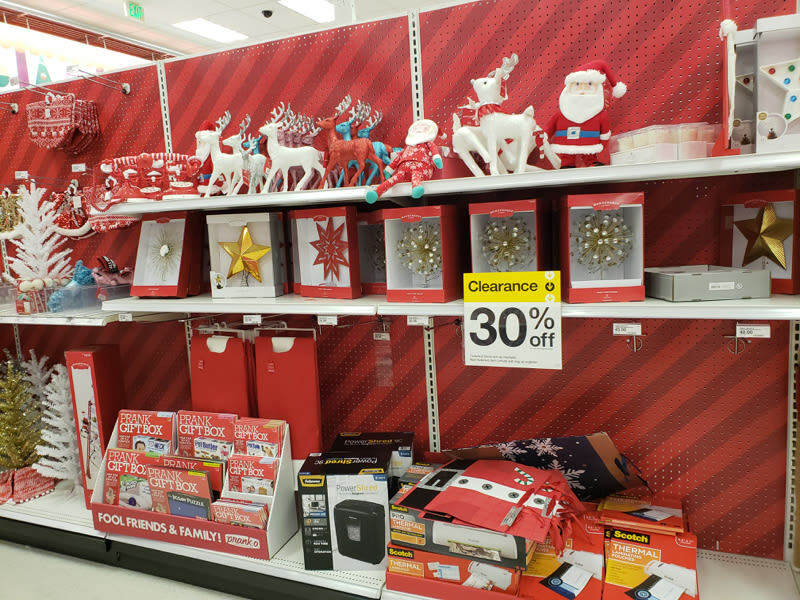 Large superstores like Target and Walmart are great places to go for tons of Christmas decoration savings. The discounts are unbeatable starting at 30 percent off on Christmas eve and increasing as the days go by! Last year, I shopped at Target and stocked up on white twinkle lights, Christmas paper goods and even found some Christmas mugs that were way too cute to pass up! The savings were unbelievable! Now here's something else to consider that has nothing to do with decorating but everything to do with saving money. Food! The holidays are a sweet tooth's dream come true and superstores cater to that tooth. Superstores bolster their inventory for the things we need to satisfy our annual bake-fests. They carry the ingredients for everything from double chocolate, peanut butter and mint cookies (for Santa's scrumptious cookies) to remarkable rugelach for a beloved Hanukkah dessert. But since there's always more on the shelves than can be sold by December 25th, those ingredients' prices are drastically discounted. 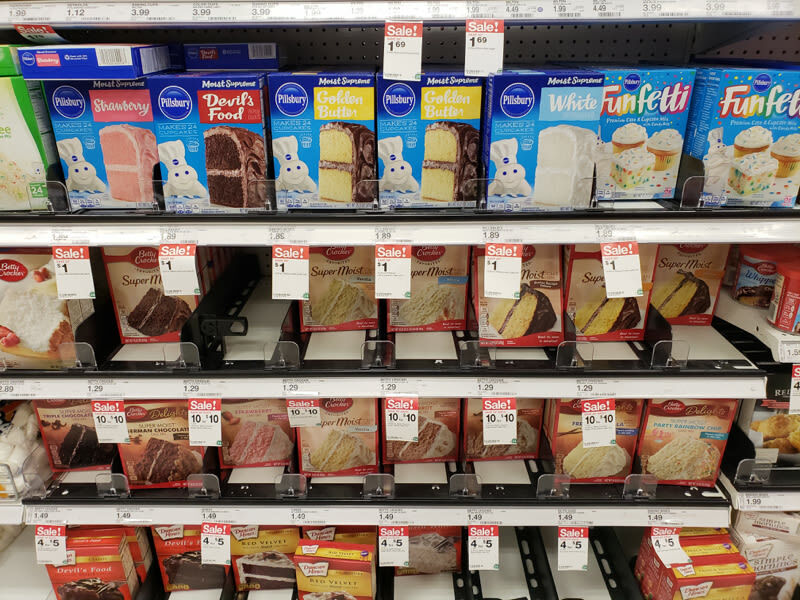 In order to clear their shelves of these seasonally specific baking staples, superstores mark down cake mix, frosting, chocolate chips, sugar, etc. Like going to Target and Walmart for your Christmas decorating savings results in stocking up your pantry while saving on your grocery bill, going to grocery stores results in saving money on your Christmas decoration tab! Almost all supermarkets offer Christmas decorations along with grocery items. So, come the December 26th Decorating Dash Days, those things need to be sold quickly. Last year, I saved 60 percent on adorable stocking holders and a set of ceramic showmen dessert plates! It was great because at full price, they were outside my price point comfort zone (with its unyielding setting when it comes to buying non-food items at grocery stores) but reduced in price, suddenly it seemed like the best idea in the whole world to purchase things like stocking holders and ceramic snowmen plates. Doesn't everyone think this way? Along the same lines that superstores and grocery stores are itching to sell all their Christmas inventory, clothing stores like Stein Mart, Ross For Less and T.J. Maxx have the same thing going on. Last year at Stein Mart, I saved (are you ready for this and sitting down?) 80 percent on a Christmas comforter bedding set. This year, I brought out my beautiful bedding set at the beginning of my own personal Christmas season (October 1) and have enjoyed it tremendously knowing it was the bargain of 2017! No doubt Ross For Less and T.J. Maxx will do the same thing with their holiday inventory so prepare to be amazed at the savings offered on everything from holiday bath towels to pillows to pot holders! Now a December 26th Decorating Dash Days would NOT be complete without blowing up your holiday inflatable's collection. Meeks Lumber and Hardware store carries holiday seasonal items including inflatables! These are all drastically reduced in price (over 50 percent savings) after Christmas so it’s a great idea to visit Meeks as their inventory shrinks fast. Now one asks, "and what will I do with all these great acquisitions added to my holiday decorations between now and 2019?" One answer is to rent a storage unit where all your seasonally specific decorating items can be stored in an organized way that makes it super easy for you to reach. Your beautiful decorations can be organized so that each season's goodies are neatly stored in a way that makes it super simple for you to get your hands on as each holiday approaches. From your Valentine's decorative heart pillows and throw rugs to your family heirloom Christmas ornaments (and every seasonal decoration in between) your home decorating scheme can easily be changed over when everything is stored in a well-organized storage unit such as those found at Stanford Ranch Self Storage. So, treat yourself this December 26th Decorating Dash Days by visiting superstores like Target and Walmart, department stores such as Stein Mart, Ross For Less and T. J. Maxx, grocery stores like Bel Air and Safeway and Meeks Building Supply which are ALL found in Rocklin (see below for a complete list of stores). You'll be so glad you did when it's time to decorate for the Christmas holiday season of 2019. Happy December 26th Decorating Dash Days to you, my friends!